Boye Jensen, the owner of Lammefjordens Perennials, is 67. He started his nursery 43 years ago and it became a prosperous business with 15 employees and annual sales of 12 million krones (equiv. $ 2.1 million). He was planning to continue working for another 6-7 years, then sell the nursery. But his business is now worth nothing, creating an enormous financial loss. He is discussing with his lawyer whether to sue Vattenfal, the company that owns the wind turbines, or the Municipality of Holbaek, which approved their installation 400-700 metres from his nursery. He expects to go to court and seek damages of several million krones. The World Council for Nature (WCFN) is calling attention to the fact that, as occurred for tobacco, asbestos, thalidomide, etc., governments are siding with private financial interests in ignoring or denying the existence of obvious health problems linked to wind turbines. As is the case for the millions of birds and bats killed yearly by the turbines’ blades, mendacious studies are published by unscrupulous consultants, and by professionals and universities happy to oblige their benefactors. Hypocrisy is rampant, species are fast disappearing from our skies, and thousands of windfarm neighbours are being submitted to torture. The word “torture” is not an exaggeration: sleep deprivation is indeed a recognised form of torture. In Denmark, as elsewhere in the world, many rural families are suffering, particularly since the manufacture of the mega turbines (1 MW and over), which emit more infrasound as they grow bigger. This may explain why the complaints are growing louder. How much longer can this suffering be ignored, or even denied by health authorities? the measurement of low frequency sound (including infrasound down to 0.1 Hz) inside the homes of windfarm victims, at night, windows closed, when the wind is blowing from the direction that causes the problem. Most of all, as a precaution, no mega turbines should be erected less than 10 km from habitations until these studies are completed, published and analysed. There is indeed compelling evidence that infrasound travels much farther than other noise, and tortures sensitive people in their homes at distances of 10 km and more. Shorter distances could be temporarily set for smaller turbines, in proportion to their generating capacity. WCFN calls upon the Danish government to intervene in favour of victims. 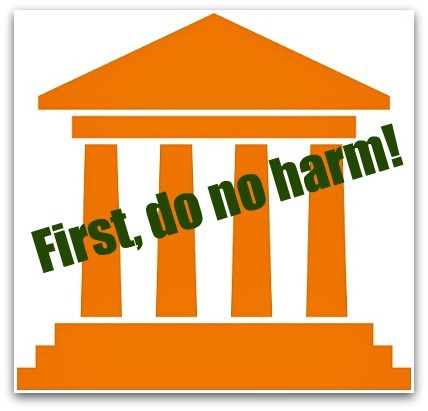 A wealth of evidence is available, including peer-reviewed studies, that warrants applying the precautionary principle without delay.5 Children are particularly at risk — evidently even the unborn. WCFN’s primary goal is the conservation of biodiversity. A sane and responsible human population is the single most important means of achieving this goal. A letter of protest is being sent to the Danish government. Editor’s note: The following is the Danish source for the above article. It was published in the print edition of the Danish newspaper, Nordvestnyt (North West News), 7/3/14. It was translated into English by Greta Gallandy-Jakobsen. Click here for the original, and here for another Danish version of the same story, and here for our source of the English translation by Ms. Gallandy-Jakobsen. For almost three years, now, 10 giant wind turbines at Lammefjord near Gislinge have blown plenty of power to the energy company Vattenfall and to consumers. But now they have also blown away a 43 year old plant nursery and its 15 employees, which had annual sales of 12 million krones [2.1 million dollars]. 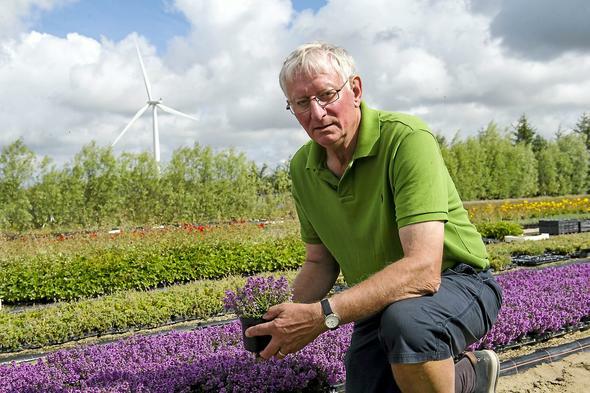 The owner of Lammefjordens Perennials, Boye Jensen, has chosen to close his nursery almost entirely, located as it is within 400-700 meters of three wind turbines. There will just be a few employees left, and they will work only occasionally. The owner made this hard decision after a mink breeder in Jutland was able to establish a causal link between the loss of a third of his mink puppies, deformed or stillborn, and several giant wind turbines erected nearby. End of translation: Original article in Danish (print edition), in PDF format: Kæmpevindmøller lukker planteskole på Lammefjorden The first part of the article is available online, in Danish:“The owner of the nursery at Gislinge fear for its employees’ health because of low frequency noise from wind turbines.” The story is also mentioned in the Jyllands-Posten, one of Denmark’s three leading newspapers. What will it take before those who govern begin to listen? How many more victims and lives ruined do we need before we get the studies done? It’s a problem and it is not psychiatric….For Gods sake, WHEN! He’s correct, but, these studies are not what are really needed today, July 11, 2014. BOTTOM LINE: THE STUDIES HAVE BEEN DONE! Mr. Duchamp specifically calls for an epidemiological study, first. Epidemiologist, Dr. Carl V. Phillips has performed such studies, concluding without equivocation that IWTs (Industrial Wind Turbines) DO ADVERSELY AFFECT HUMAN HEALTH! He has even testified before governmental bodies quite clearly on this fact. You can find his work here, on WTS.com, and by searching his name on the Internet. Videos of his testimony are readily available. The second study would be good, but existing studies have shown the facts quite satisfactorily to prove the truth of the matter. The empirical evidence is overwhelming and can be found on many websites, in the official records of government bodies in numerous nations, in countless news articles/letters to editors/blogs/comment blogs, etc. For those who haven’t seen them, Dr. Calvin has published numerous articles, essays, research studies, etc., on WTS.com for several years, that show the true science, beyond the shadow of a doubt. Piling factual report upon factual report will never tip dishonest scales to the right side by the shear weight of truth. The scales are deliberately fixed to prevent a balance being reached. If one’s mind is closed by willful blindness, no amount of evidence will change that mind through any logical, rational argument from any study. Until the mind is opened, you could stack the right side of the scale with proofs from “here to the moon;” the weight readout would still be on the side of the Big Lie. Only when the vast majority begins to be open to truth will the War Against Wind Energy be won. Until then, I still sit, grateful, in my sister’s home because I don’t have the funds to prepare my own home to offer it for sale. But, I also must acknowledge that I am morally reticent about selling it if I could find a buyer. I still kick myself for giving-up and trading-in a defective Nissan Titan for someone else to unknowingly take on its dangers. I think that’s one reason I have continued to dig my debt hole deeper, as my biggest asset sits deteriorating because I haven’t been able to even try to sell it. Now, I am past my deadline for turning off my computer to comply with my sister’s restrictive electrical usage plan because of the ever-rising cost of electricity, thanks to wind and solar energy in Arizona! We, the un-numbered victims of wind energy, ARE THE STUDY PROOFS!!! The Danish press reported this news, which is enormously important for the health of thousands, perhaps millions of people over time and in most parts of the world. Hello, all women of child-bearing age (and everyone else too!). Talk about sacrificing our “firstborn child” to the gods of ignorance, “green” energy, and greed! This story is crazy, but makes perfect sense to me as a woman. If infrasound is destructive to vulnerable populations, who is more vulnerable than the babe I was carrying in utero at this time last year?, i.e., our unborn babies. And what is a more sensitive system than our reproductive system, which is so interconnected with: stress, weight gain/loss, emotions, hormones, etc! Women living together menstruate at the same time. Hello, it’s sensitive li’l system! 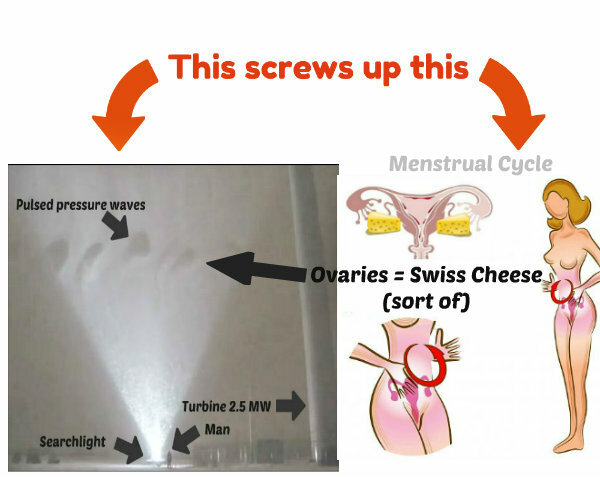 Imagine miscarrying that sweet little babe because of turbines. It horrifies me! And obviously others too, like the women above who resigned. As a mommy,few things are as precious to me in this life as my two healthy li’l girls, and they gave me the “baby bug” because now i consider having more 😉 Imagine this taken away because of turbines! Thankful for the integrity of Boye Jensen! 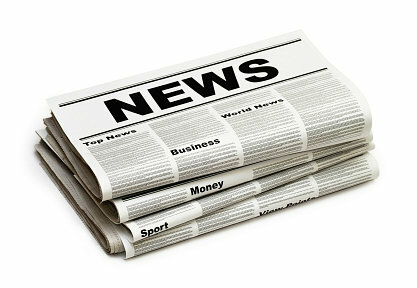 Thankful for more information and coverage of the very real impacts to all aspects of life — including creating new life! Sad but true. How long will it take for authorities to recognize the problem? On the other hand, I believe they are aware of it. They simply don’t care. Money is all that counts. Nevertheless, WE WILL KEEP FIGHTING and NEVER SURRENDER! 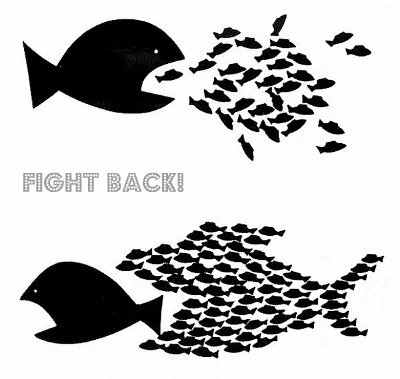 Thank God there are many people around the globe who do CARE and will fight to the END.